Size 8mm Necklace9mm Necklace, 16 inches (+260)10mm Necklace, 16(+510)"
Freshwater pearls are valued for their unusual colors and shapes. This gorgeous 8x8.5mm freshwater pearl necklace features round pearls strung on silk thread, hand knotted, and affixed with a 14K gold clasp. 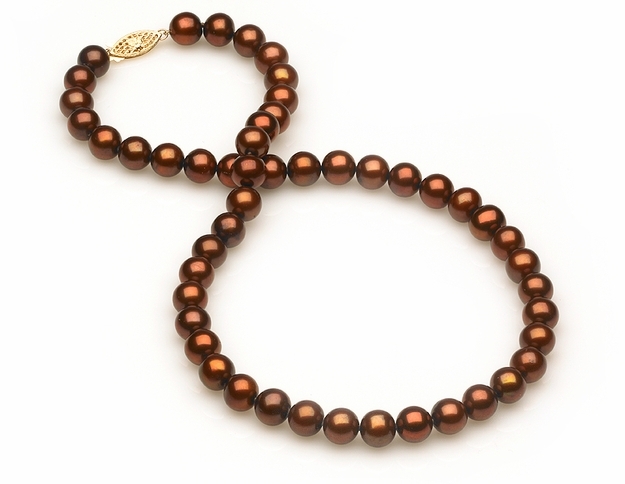 The bodycolor of these pearls is color enhanced Mocha.